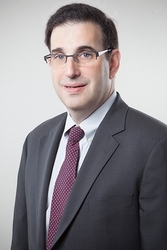 Michael J. Shavel is a partner of Hill Wallack LLP. He is a member of the Banking & Financial Services and Creditors’ Rights/Bankruptcy practice groups. Mr. Shavel has over 22 years of experience exclusively practicing in the lending, banking and creditors’ rights field. He has closed numerous complex commercial finance transactions, including acquisition financing, asset-based financing and healthcare receivable financing. Mr. Shavel advises lenders on compliance with UCC Article 9, intercreditor relationships, as well as work out and creditor’s rights in bankruptcy. In addition, he has extensive experience as a closing attorney representing national banks, community banks, credit unions and other financial institutions in connection with SBA financing, including 7(a) and 504 loans. Mr. Shavel is admitted to practice in the Commonwealth of Pennsylvania (1990), State of New Jersey (1990), State of New York (1990), U.S. District Court for New Jersey (1990), U.S. Court of Appeals, Third Circuit (1991), U.S. District Court for the Eastern District of Pennsylvania (1991), U.S. District Court for the Northern District of Florida and all federal district courts in New York. He received his J.D. from Ohio Northern University with honors and his B.A. from Drew University. Mr. Shavel presents regularly for a number of national educational organizations on SBA lending, commercial finance, bankruptcy and creditors’ rights. His articles on commercial financing have appeared in a number of lending trade journals and newsletters.